Capri Tunic CSM1134, Ruby and Black Balloon Cut Tunic, Long Sleeves, Slash Neck. 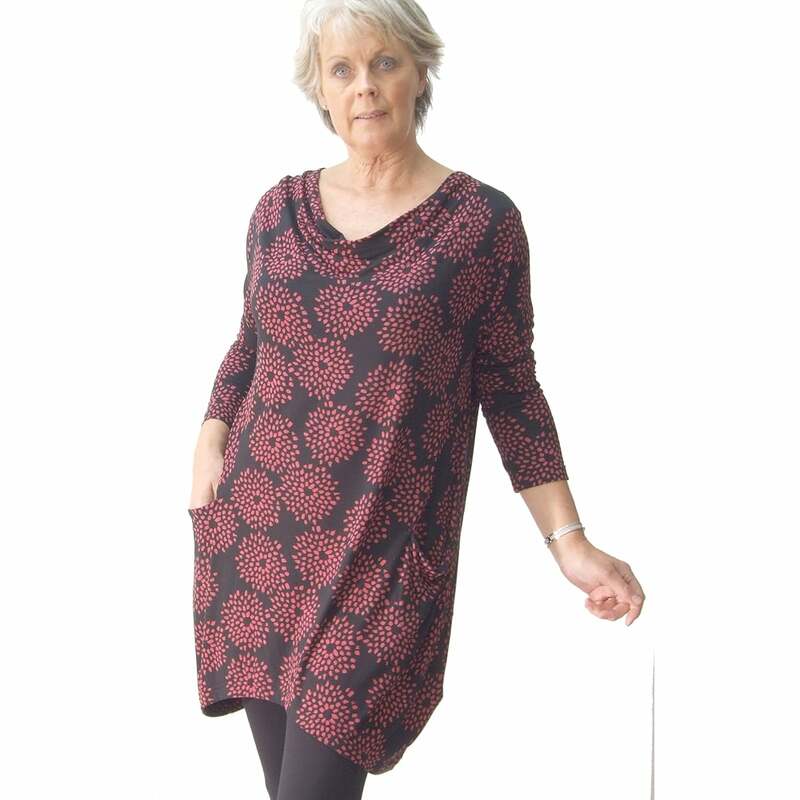 Tunic, shift balloon cut, long sleeves, slash neck with cowl front, two pockets, in a jersey knit printed with a ruby red and black design. 96 percent viscose 4 percent lycra.